You will find some of the best and most gorgeous U.S. neighborhoods in California’s second largest city of San Diego. Everyday residents of San Diego awake to blue skies, a Mediterranean climate and access to over 70 miles of pristine beaches. 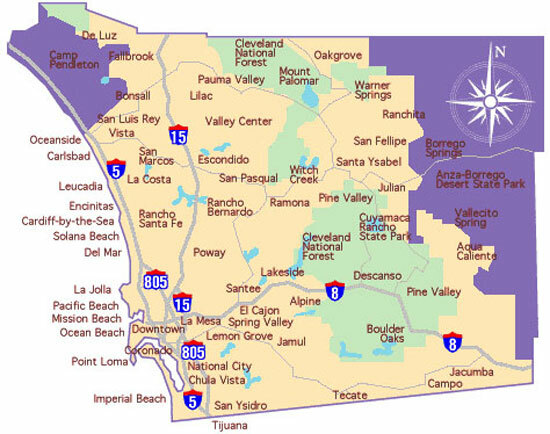 Bordered by the Laguna Mountains and Mexico to the north and south with the Pacific Ocean and the Anza-Borrego Desert to the west and east, San Diego’s top neighborhoods offer a variety of terrains. From costal landscape in La Jolla to ever green mountain ranges in Alpine, San Diego's neighborhoods span over 4,200 square miles of immense opportunities for both business and pleasure.